Jamie Dimon&apos;s compliance guys aren&apos;t sure that a piece of the incredible shrinking China Everbright Bank IPO is worth the goddamned headache, given, well, given everything else. It comes as the Wall Street bank grapples with several investigations by regulators, including one by the Securities and Exchange Commission and the Justice Department into its hiring of relatives of Chinese officials. One of the hires U.S. regulators have looked at is that of Tang Xiaoning, son of the chairman of China Everbright Group, a state-backed conglomerate that owns China Everbright Bank as well as a brokerage and insurer…. J.P. Morgan has been an adviser to China Everbright Bank since 2011, when the bank first tried to list in Hong Kong in attempt to raise up to US$6 billion. It was also an underwriter last year when China Everbright tried again to list in the city. Although the bank cut the fundraising size to US$2 billion, that IPO didn&apos;t come to fruition because of weak market conditions…. The people familiar with J.P. Morgan&apos;s decision to pull out from the IPO say that since U.S. regulators began investigations in August, deals have faced intense scrutiny from the U.S. bank&apos;s compliance division. Will Crisis-Era Litigation Ever End For Banks? Looking To Run A Major American Bank? Look For Something Else. Jamie, Lloyd, Jim, and Brian aren't going anywhere. 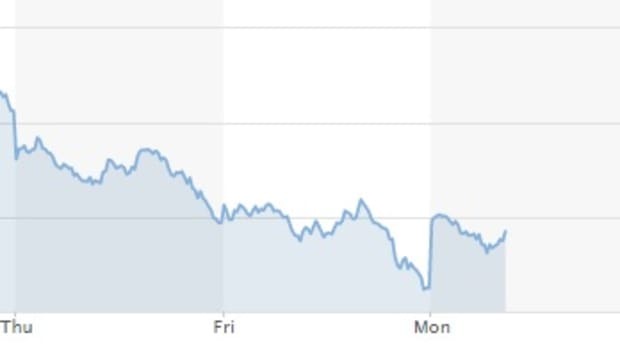 I mean, last week’s stock rout really got out of hand fast.